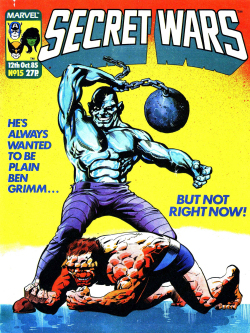 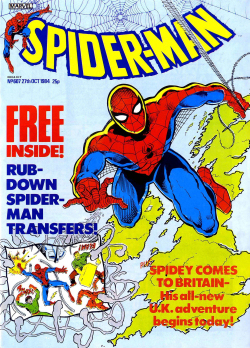 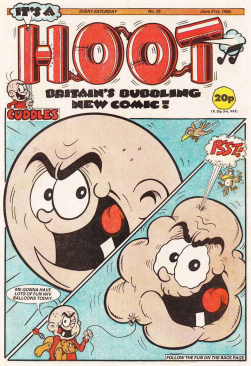 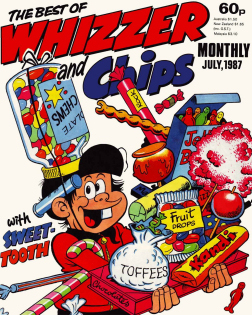 Dice Man was a short-lived British comic book magazine which ran for five issues in 1986. 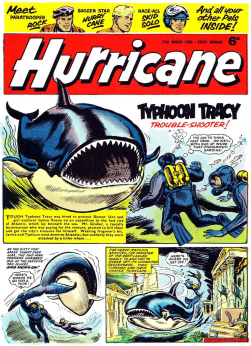 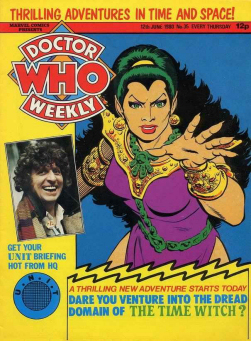 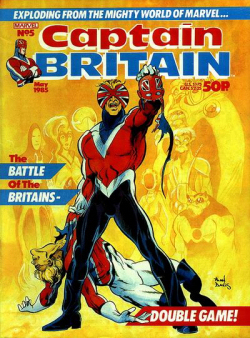 It was a spin-off from 2000 AD and was edited by Pat Mills, who also wrote almost all of the stories. 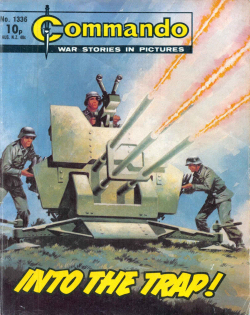 The stories were designed to be played like gamebooks. 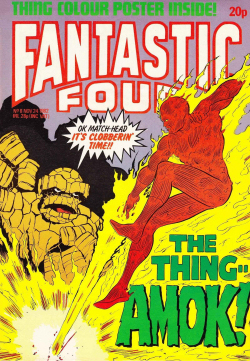 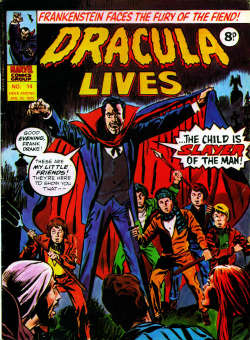 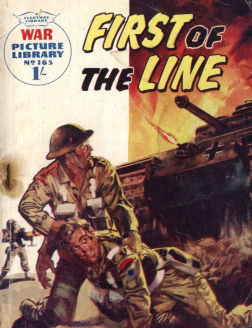 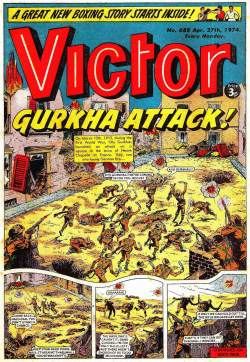 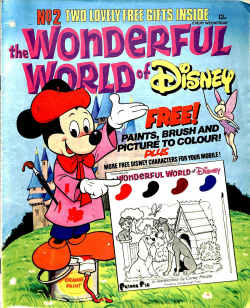 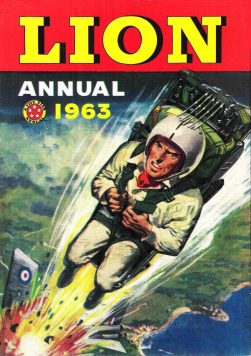 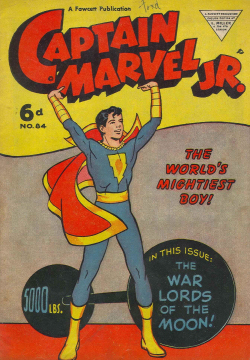 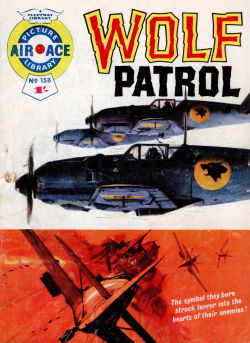 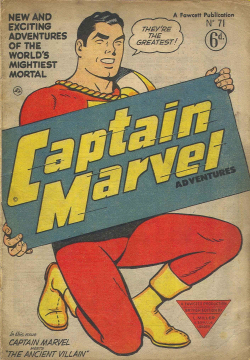 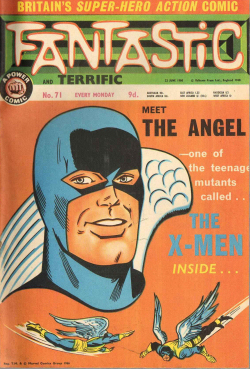 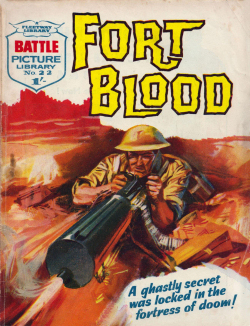 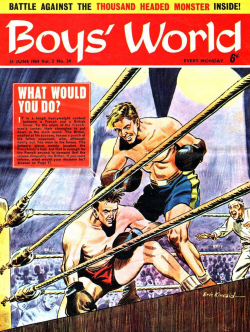 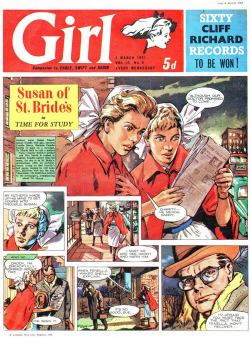 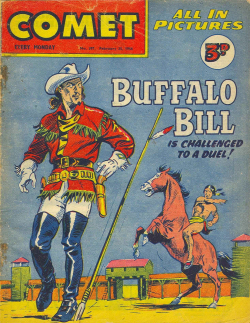 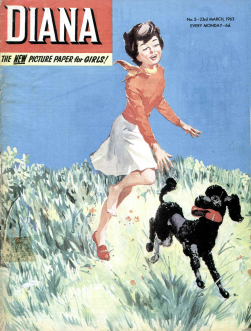 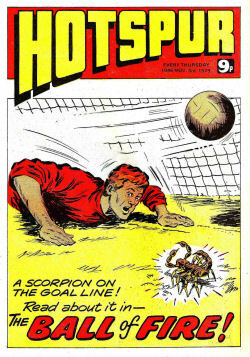 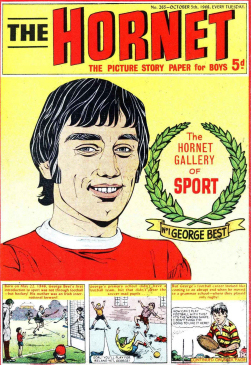 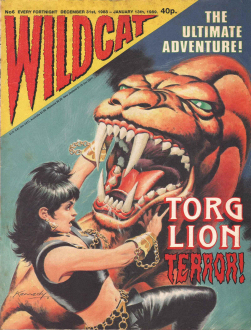 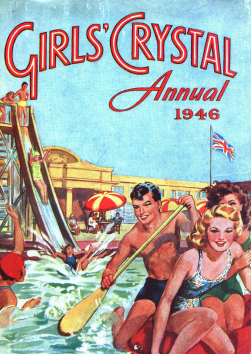 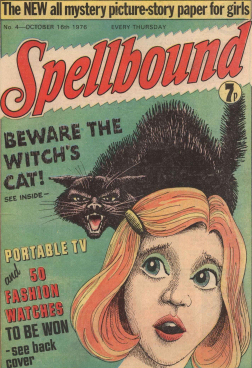 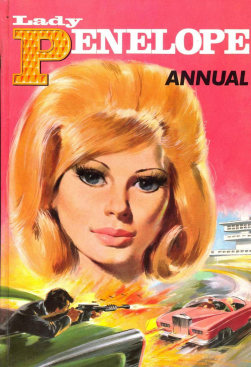 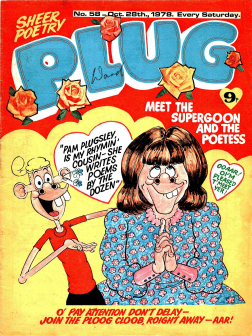 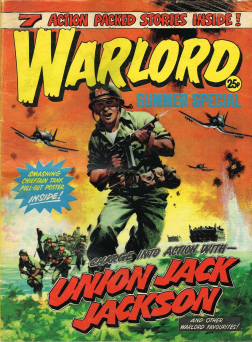 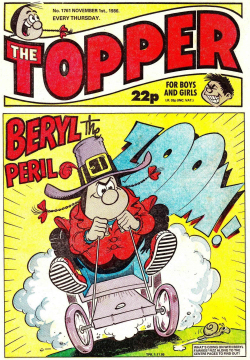 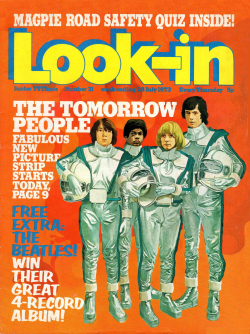 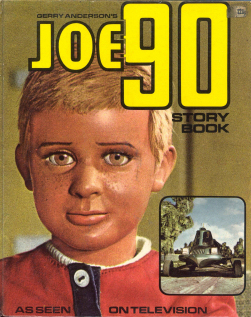 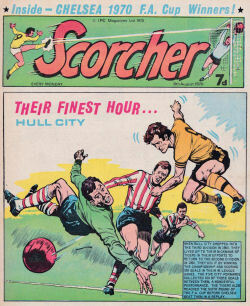 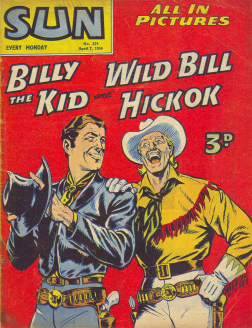 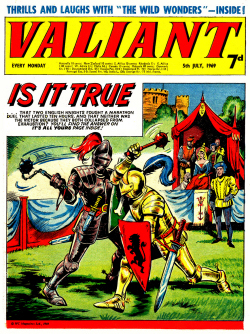 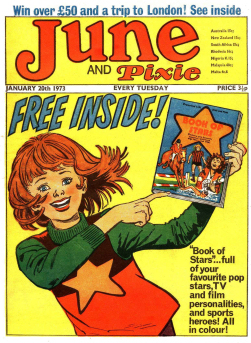 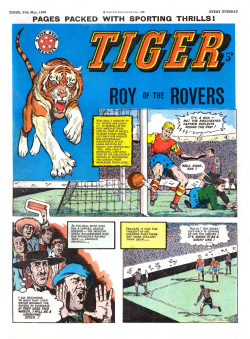 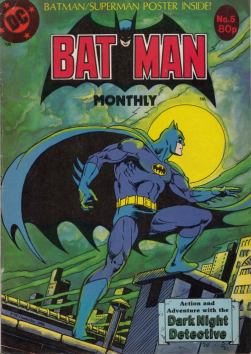 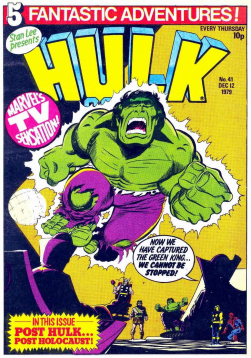 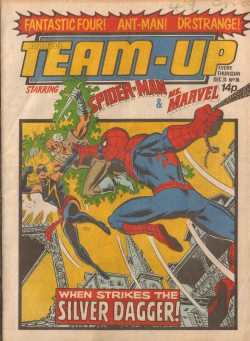 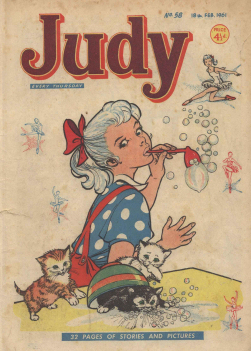 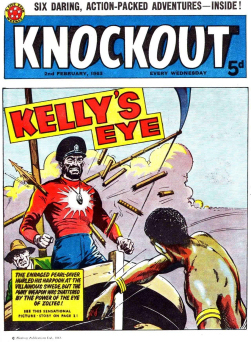 Each issue contained two or three such stories and was published every two months. 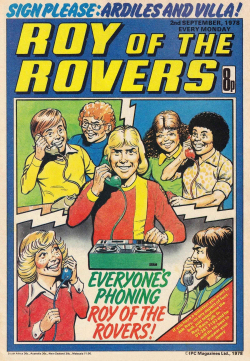 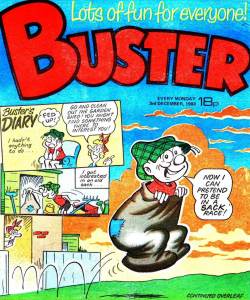 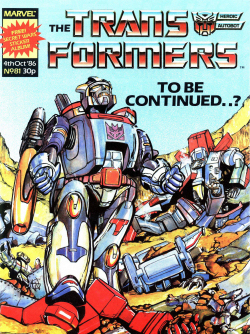 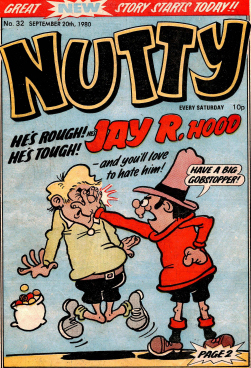 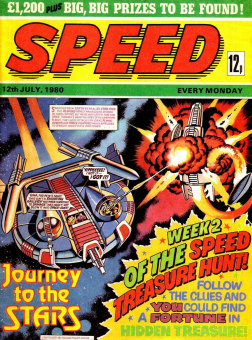 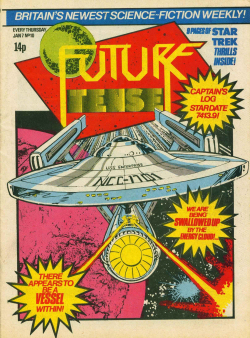 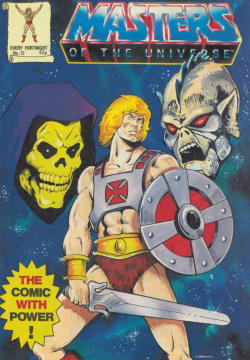 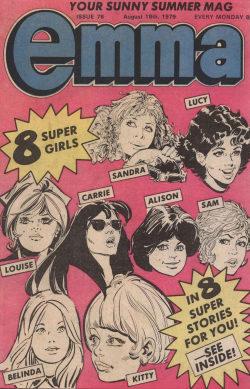 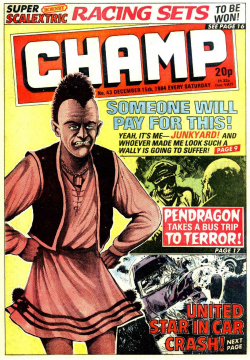 The comic mostly contained stories based on characters who already appeared regularly in 2000 AD. 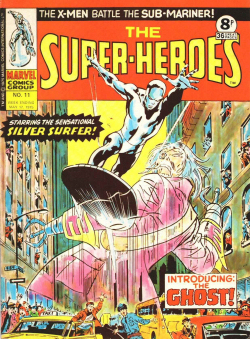 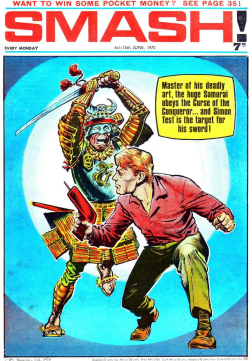 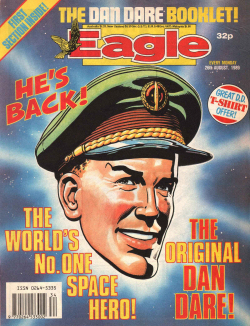 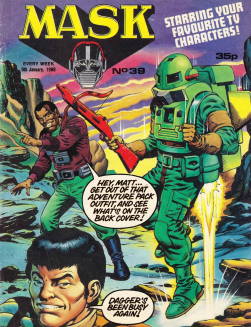 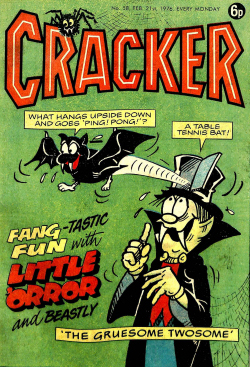 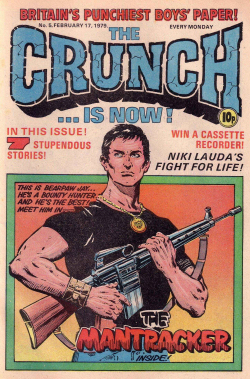 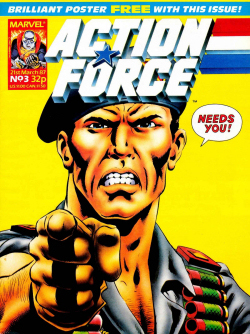 Its eponymous character Diceman (without the space), also known as Rick Fortune, was created specially for the comic (by Pat Mills and Graham Manley), but did not appear until the second issue. 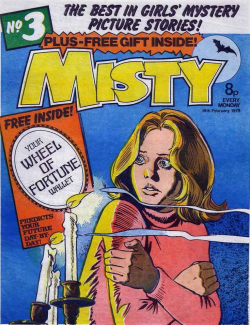 Fortune was a “psychic investigator”, a 1930s American private detective with psionic powers. 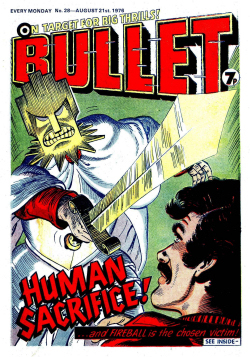 He also had a pair of stone dice, recovered from the ruins of Atlantis, which he could use to summon various powers including a three-headed lizard demon called Astragal to assist him. 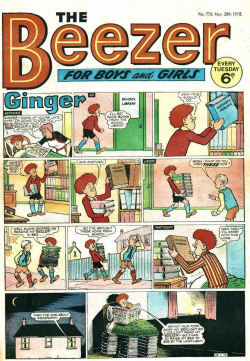 The Diceman strip was different from the others in that the reader not only had to avoid being killed, he also ran the risk of being driven insane (if his “sanity score” dropped to zero). 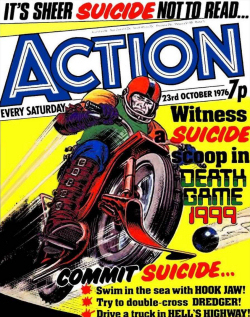 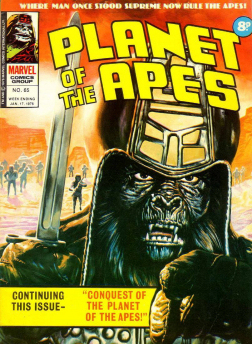 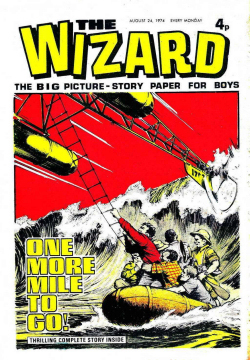 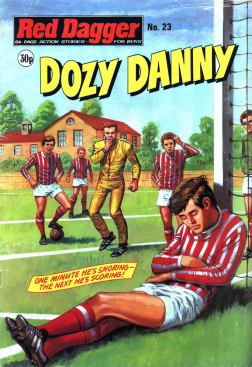 There was only one other story in the comic which was not derived from 2000 AD. 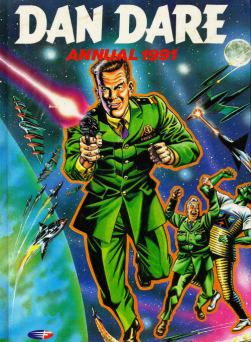 This was “You are Ronald Reagan in: Twilight’s Last Gleaming”, a satirical spoof in which the reader, playing the part of the American president, must prevent nuclear war breaking out. 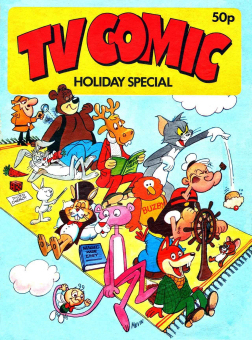 This strip was unusual because if the player’s sanity score gets too high, then the Secret Service assume that the president must have been replaced with an imposter (a comment on Reagan’s perceived intellectual limitations). 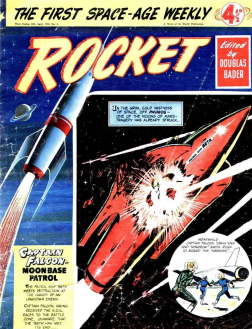 This game was exceptionally difficult compared with the others in the comic, as the player must make irrational decisions to avoid arrest and execution, while trying to make the right decisions to prevent a nuclear launch by either side. 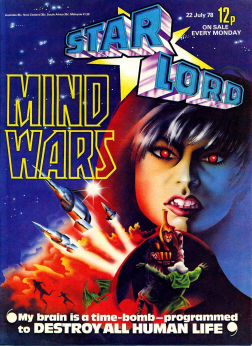 In fact the player transpires to have very little control over the outcome, and almost every option inevitably results in World War III, suggesting that nuclear diplomacy is very difficult to control once Cold War tensions have begun. 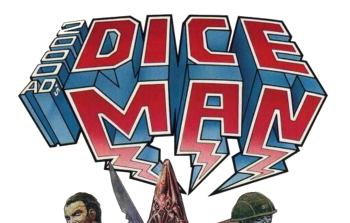 The other strips which appeared in Dice Man were Judge Dredd, Nemesis the Warlock, Sláine, Rogue Trooper and ABC Warriors. 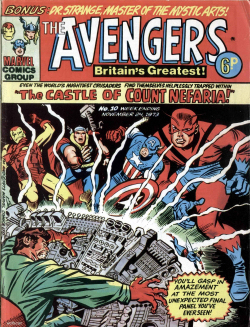 One of the Nemesis stories was unusual because the reader played the part of the main villain in the story, Torquemada.